Your day-by-day itinerary now includes Explore Tours Perth. Change things up with these side-trips from Perth: Fremantle (Fremantle Markets, The Shipwreck Galleries, & more) and Caversham Wildlife Park (in Whiteman). Dedicate the 1st (Sat) to wine at some of the top wineries in the area. On the 4th (Tue), give your taste buds a day to remember with a local gastronomic tour. 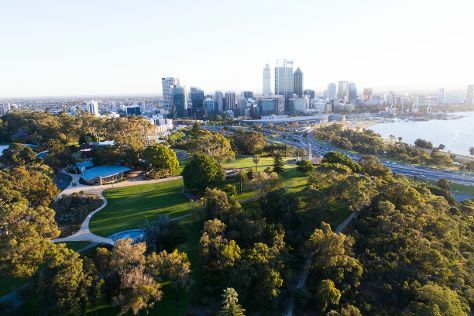 The adventure continues: take in nature's colorful creations at Kings Park & Botanic Garden, explore the activities along Swan River, get to know the resident critters at Perth Zoo, and appreciate the history behind The Bell Tower. To see where to stay, more things to do, traveler tips, and tourist information, go to the Perth trip planner . If you are flying in from Malaysia, the closest major airport is Perth International Airport. In May, daily temperatures in Perth can reach 25°C, while at night they dip to 11°C. Wrap up your sightseeing on the 5th (Wed) early enough to travel back home.